EAW015486 ENGLAND (1948). Billingley, Open Cast Coal Quarry south of the village, 1948. This image has been produced from a print marked by Aerofilms Ltd for photo editing. 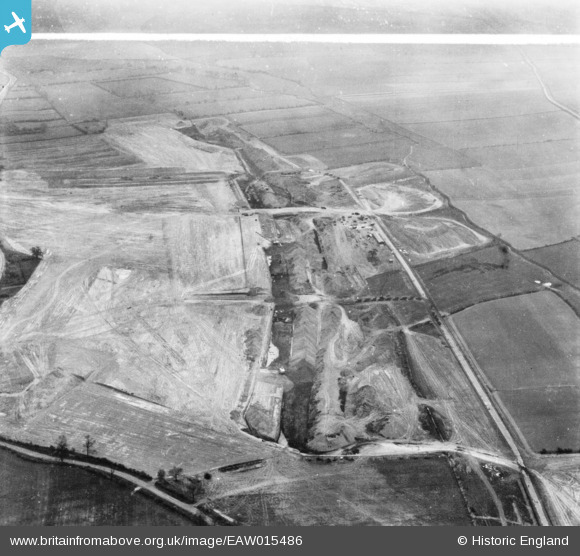 Pennawd [EAW015486] Billingley, Open Cast Coal Quarry south of the village, 1948. This image has been produced from a print marked by Aerofilms Ltd for photo editing. A635 and adjacent tree seen on the edge of an excavation in other pictures! We are looking broadly east. This site is the same as EAW015498, which has been unlocated for sometime!